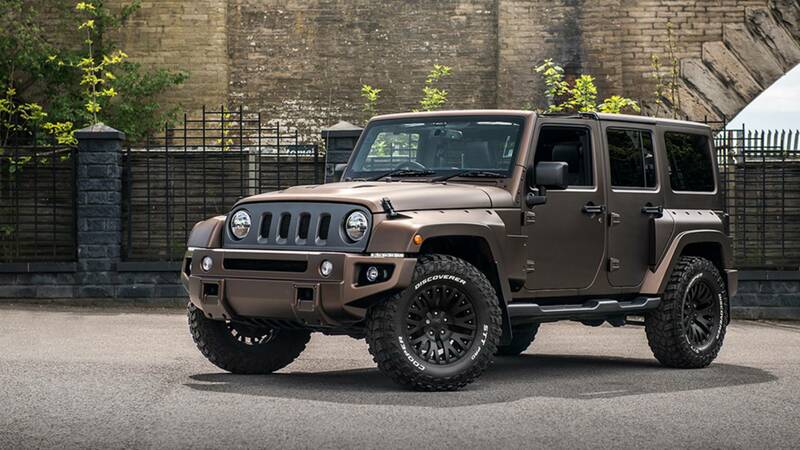 Chelsea Truck Company and Kahn Design are offering a special version of the Jeep Wrangler SUV, called Night Eagle, for sale at £60 000. The tuners chose a Wrangler Black Hawk as the starting point. They redesigned the radiator grille, the front bumper, the lighting, the fenders and the spare wheel cover. Chelsea Truck Company has produced most of these components. As for Khan Design, the British tuner has finished the body of the car in its trademark Chromax paint. The interior has been thoroughly reworked and now sports perforated leather finishing on the doors, seats, armrests and – partially – the ceiling. There is also now a GPS navigator on-board, and the pedals now wear aluminum pads. In its stock version, the Wrangler comes powered by a 280-hp (201-kW) engine coupled with a five-speed automatic transmission. If you feel like buying it, keep in mind that the Jeep Wrangler Night Eagle is a right-hand-drive vehicle and may not be street-legal in your country.